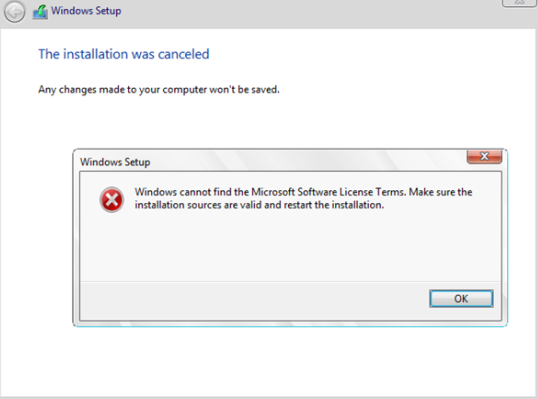 Windows cannot find the Microsoft Software License Terms. Make sure the installation sources are valid and restart the installation. Any changes made to your computer won’t be saved. After clicking OK, the computer restarted and Windows installation is restarted. The error “Cannot find License Terms” appeared again and again. 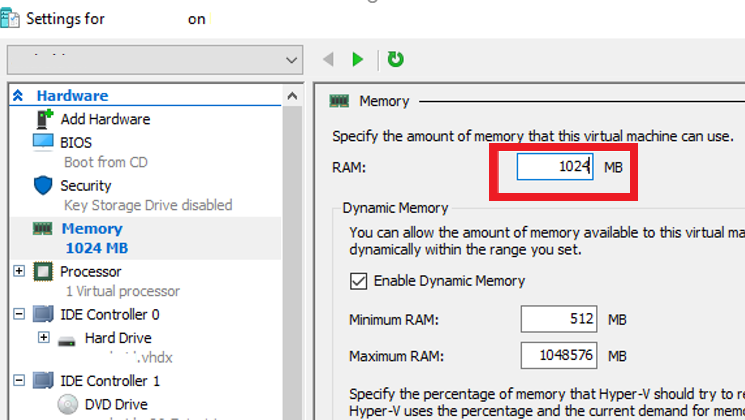 If Windows 10 / Windows Server 2016 (or older OS versions) are installed inside a virtual machine (on Hyper-V on VMWare hypervisor), make sure that you have allocated enough RAM for the VM. In my case only 512 MB of memory was allocated for this VM on the Hyper-V server, and the option to use Dynamic memory (Enable Dynamic memory) was enabled for it with possible of Memory overcommitment. 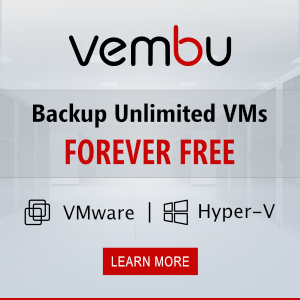 Increase the size of the allocated VM memory to at least 1024 MB and restart the installation process. Note. You can use the following trick as a workaround. Prior to starting Windows installation, press Shift+F10 and run the command in the command prompt that will create a pagefile: wpeutil createpagefile /path=C:\pf.sys . Then switch to the installation window and start Windows installation. The installation should continue without any errors even if the memory size is small. If there is ei.cfg in this directory, change the Channel value from Retail to OEM (as it seems that you are trying to install an Enterprise edition from a retail distribution). You must manually edit the ISO file of the Windows installation image using any ISO editor (WinISO), add the specified file and overwrite the installation DVD / USB stick.